Kingdom of Plants 3D takes an intriguing look at the secret lives of plants. This new major 3-part series, as previously announced by Atlantic Productions and Sky 3D, will be broadcasted in May 2012. 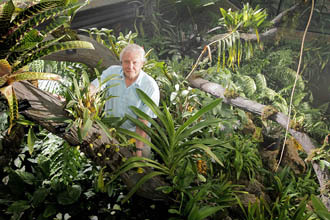 ONSIGHT is delighted to have been working with both companies on a third project, presented again by Sir David Attenborough. Filmed over a year at London’s Royal Botanic Gardens, ONSIGHT’s rental facilities provided cutting-edge technology, including 3D time-lapse and macro photography. The project was later passed to ONSIGHT’s Lab & Post team for stereoscopic finishing. As experts in 3D, we understand the essential planning and importance of quality footage to help bring our clients’ stories to life. The 3D Storytelling Conference showcases this growing format, examining the developments both technically and creatively. With this in mind, it was an easy decision for us to get involved. ONSIGHT is pleased to be an Event Sponsor alongside the likes of RealD 3D, Sony, Sky 3D and SGO Mistika. Our Chief Technical Officer, Producer and Editor are also speaking across 5 sessions. 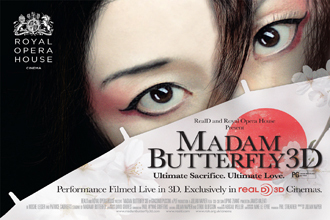 ONSIGHT provides the stereoscopic 3D post production on ‘Madam Butterfly 3D’, a co-production from RealD and the Royal Opera House, theatrically released worldwide from spring 2012. ONSIGHT completed the post production on the new Madam Butterfly 3D, a co-production from RealD and the Royal Opera House and produced by Principal Large Format (PLF). The film is directed for cinema by Julian Napier and opens in the UK on 5 March 2012, followed by a global release, exclusively in RealD-equipped theatres. ONSIGHT’s Lab & Post department supported the vision, which brings this celebrated story to the big screen for the first time in immersive 3D technology. The third series of Got to Dance is very much underway on Sky 1 HD. Working with Princess Productions, ONSIGHT’s Edit Rental team is pleased to be supporting the show for another season. The long term job has involved the supply and installation of 4 Avids (Media Composer for Nitris DX with HD monitoring) and a number of VTR decks, integrated into their existing post production system. ONSIGHT is delighted to have supported Cinesite on two major feature films. 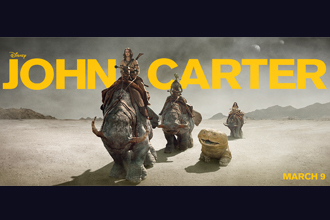 The work consisted of us providing 3D VFX shoots and 3D Plates Processing for the current blockbuster John Carter and 2011's Pirates of the Caribbean: On Stranger Tides, both productions from Walt Disney Pictures.